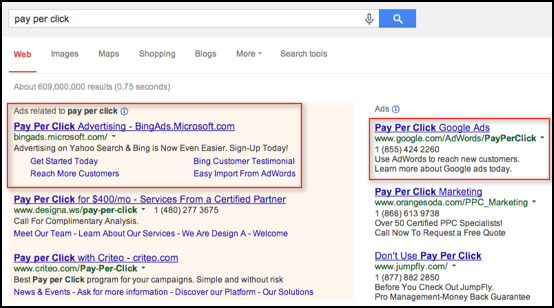 Good quality Ads are a key element in any PPC account. Well written, compelling and enticing Ad copy can lead to that vital extra few % points on your Click Through Rate, a higher Quality Score and a lower Average Cost Per Click. Your PPC Ad performance can mean the difference between success and failure. 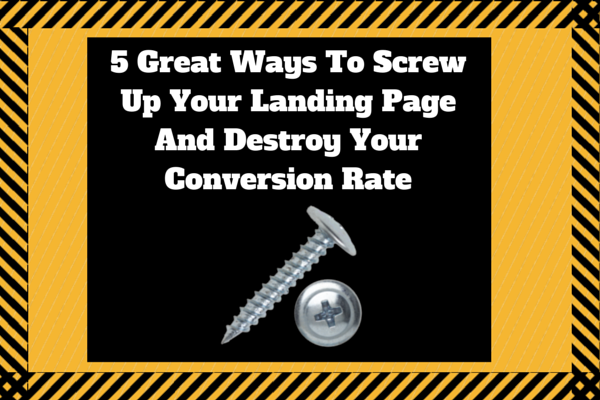 So rather than focus on tips for writing good quality PPC Ads – a post I have planned for the future – I thought it would be fun to write a post about 7 of the Worst PPC Ads Ever. This is how NOT to do it. Enjoy! #1 Don’t Tell Potential Customers What You Don’t Offer For Heavens Sake! 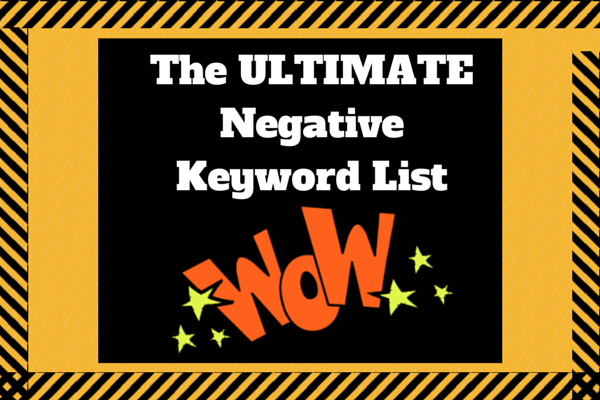 Best practice when writing PPC Ads is to focus on the positives. Promote the features and benefits of your service - with a particular emphasis on the benefits – as these are what potential customers really care about. Promote what you DO offer, not what you do NOT offer. It is just common sense. So why did this advertiser decide to use up valuable PPC Ad copy space saying, “Not serving Prom or School Dancing”! That space could have been put to much better use, the Ad just comes across as negative and certainly does not entice clicks! I can understand the reason why this advertiser has done what he (or she) has done, he is clearly fed up of getting enquiries for Prom or School dances. Well maybe he should adjust his business model if it is such an issue, and start to serve the Prom / School market. There must be money to make! If it is not an issue, then don’t waste Ad space mentioning it. Use that space for positive gain. Definitely not to be recommended. #2 Anyone Fancy Some ‘Used Toilet Paper’? Surely if you are bidding on the term ‘toilet paper’, you would add in the negative keyword “used”, wouldn’t you?! I mean you wouldn’t want your Ad to display for such a search, would you?! 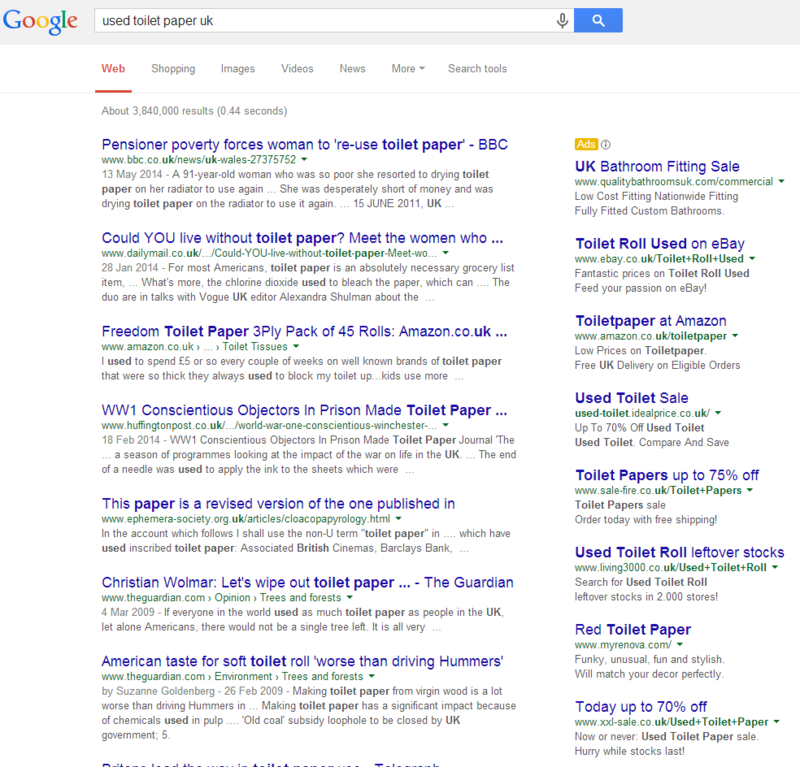 And it is not just eBay, take a look at the list of Advertisers when searching ‘used toilet paper uk’. 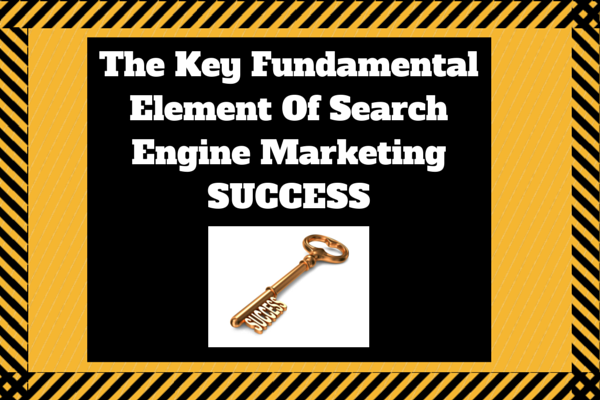 The problem here is likely to stem from Dynamic Keyword Insertion (DKI). This is a classic example of why I stay away from using DKI on any of the PPC accounts I manage as a PPC Marketing Consultant. 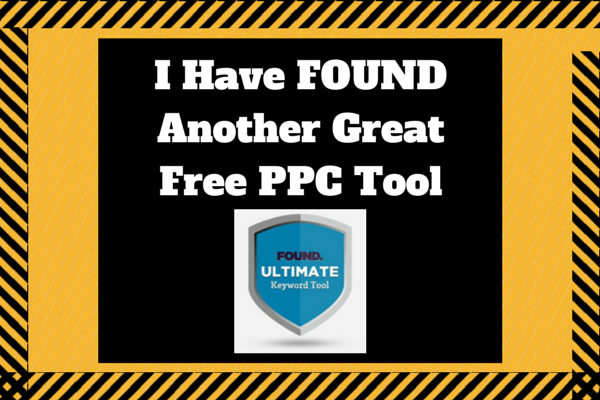 I prefer to build out a large number of Ad Groups, with 1 keyword per Ad Group (3 Match Types) – which then allows me to produce targeted Ad copy manually for my 2 Ads in each Ad Group. Of course if you have some neat tricks for creating large, highly segmented and structured PPC accounts super quickly then you can afford to do this. If your development processes are not right, this may take you a great deal of time and not be viable. Regardless of the reason, a big c*ck up for eBay (and the other advertisers listed above), but one we can all laugh about at their expense! #3 Ever Wonder Who The ‘Worst PPC Agency’ Is? 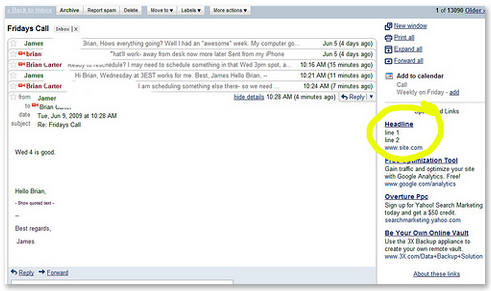 PPC professionals should know better, right?! 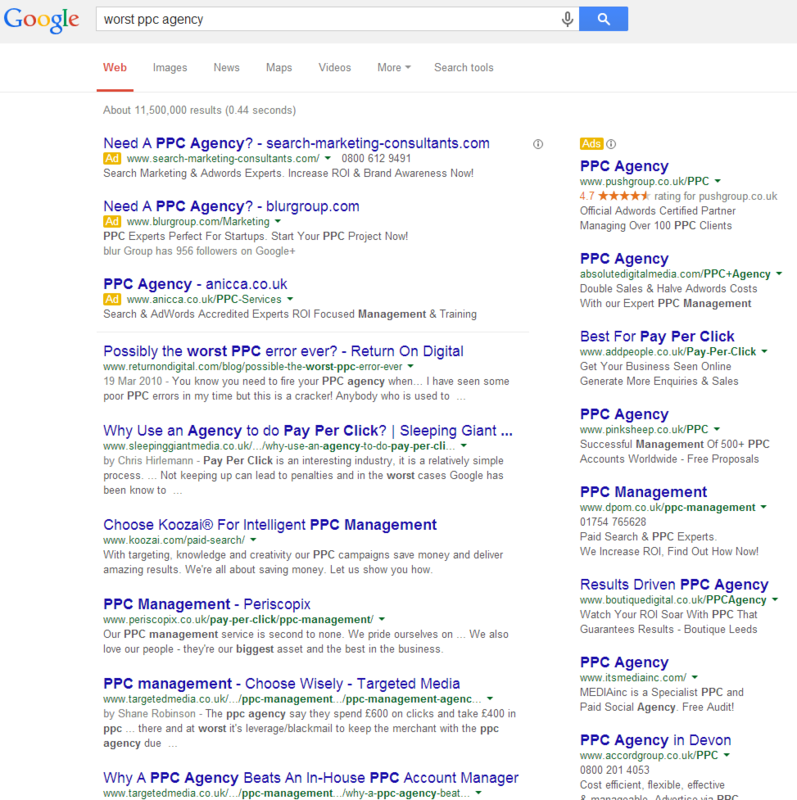 They would not make a mistake like displaying their PPC Ad for the search query ‘worst ppc agency’, would they?! They would! Check this out! Guys hold your head in shame, you should know better!! 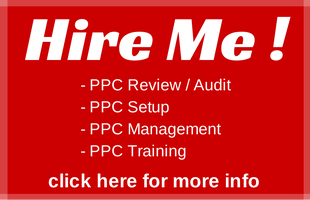 Remember, don’t use any of those PPC agencies, hire me :-). #4 Make Sure You Don’t Launch Until You Are Ready! Really Ready!! I have to think that this next one was just a mistake, it must be. The advertiser must have whacked in some place-holder text (Headline, Line 1, Line 2, www.site.com), meaning to come back and update the Ad Copy prior to publishing. Then inADvertently (no pun intended, honestly) launched before updating the Ad copy. Always check your account prior to publishing. Or even better, get someone else to run a QA check for you. 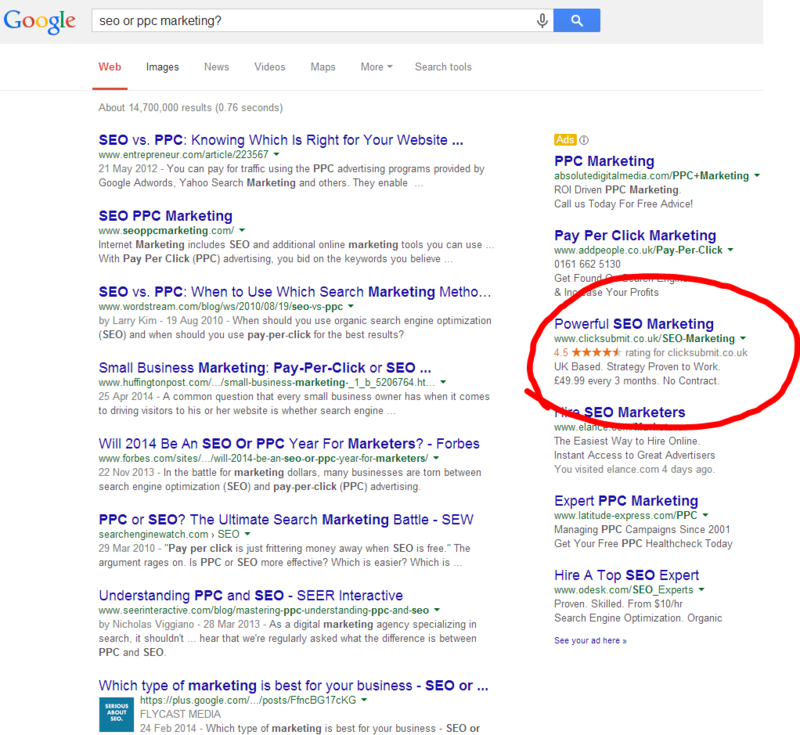 #5 SEO Or PPC Marketing? This is the million $ question, that has been raging for years. Should businesses focus their Ad spend predominantly on SEO or PPC Marketing? One thing I would say is, if you are an SEO service provider, you should not be relying on PPC advertising to market your service! It kinda devalues what you are trying to sell, right? It is a little bit hypocritical to advertise an advertising service using a competing advertising service. Think about it! It has always surprised me how many SEO providers, in-fact, get most of their business through sources other than SEO! My strong advice is that if your prospective SEO agency does not rank on page one of Google, and / or cannot show you live examples of client sites that rank on page one of Google, then you need to walk the other way – fast! #6 Make Sure Your Grammar Is Right! Grammar is important in PPC Marketing, afterall ‘words’ are at the heart of all PPC accounts. So because grammar is so fundamental, it is important to check the grammar in your Ads before launching, either check yourself or have someone else check for you. A fresh pair of eyes are always useful. Mistakes can be easily made, particularly with heavy work schedules, but having the right QA procedure will minimise errors. Companies such as Ford have no excuse when it comes to QA, which surely should be a philosophy ingrained within all aspects of their organisation! 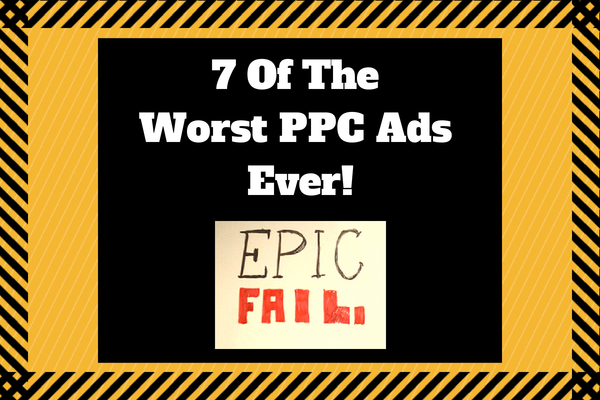 #7 Google is the Market Leading PPC Platform, Right? Look Again! Based on the fact that Google makes some 97% of its revenue from Adwords, and being that Google is such a dominant market leader in all things search, you wouldn’t think Google would make the mistake of letting Bingads out rank them on Google when someone searches ‘pay per click’. But they did, and here is the evidence. It just shows that even the teacher sometimes needs to be taught! Maybe Google were in the process of testing out Ad positions, to see if they could gain a higher ROI in position 4 than position 1. Or maybe someone just made a c*ck up! Funny either way. Bingads should frame this, or use it as their welcome screen! Hopefully you have found this post amusing, but also useful and informative to some extent. By recognising and analysing errors, we can learn to be better PPC Marketers. Understanding mistakes, is the first stage when it comes to avoiding making them. Please send me any further PPC Ad horrors that you may have come across. I’ll be happy to add them into this post. 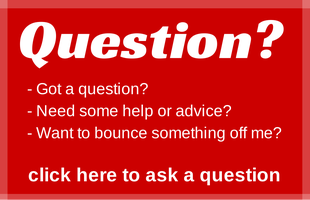 And any questions, as always do not hesitate I will be happy to help.